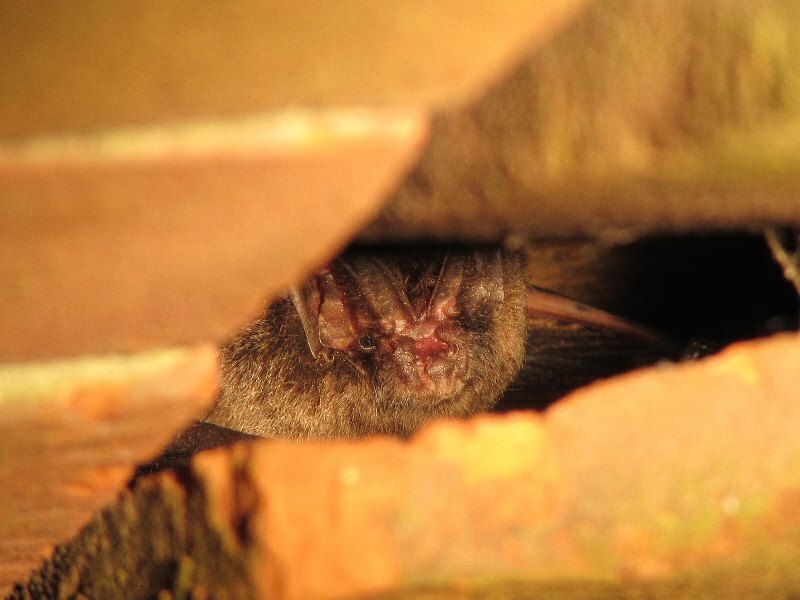 Here is one of our tagged Barbastelle bats we have been tracking roosting under a tile. Thanks to Xenia Snowman for the photo and helping with the project, if anyone wants to come and see some Barbs and help with the project we have a basecamp available all next week. Just email us to let us know when you are coming.